Taylors Falls, MN – Wild Mountain ski area is holding its 38th annual Demo Days event this weekend, and thanks to the early winter the mountain will be in full operation with all trails and slopes open. 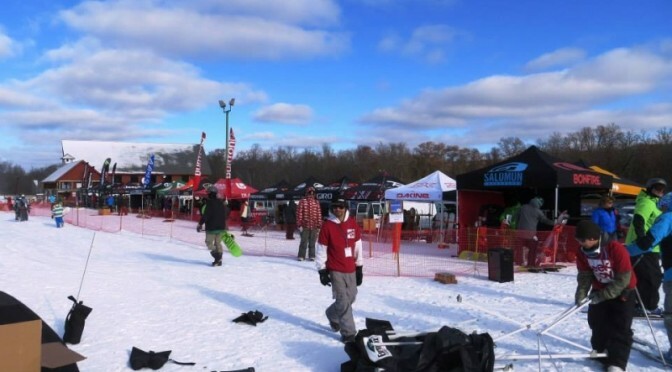 Wild Mountain hosts one of the first demo opportunities in the country to try out the latest ski and snowboard gear, including skis from Blizzard, Elan, Fischer, Head, K2, Line and Rossignol. Snowboard brands representing will include Burton, K2, Nitro, Ride, Rossignol, Salomon and Zion. Check out the latest goggles from VonZipper and Giro, as well as Giro helmets. To participate in the Demo you will need a valid driver’s license and major credit card for security deposit, and of course a valid lift ticket or season pass. 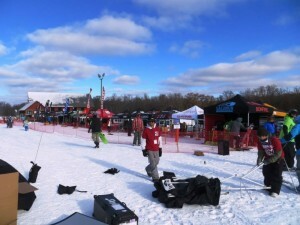 Ski demos cost $10 to try unlimited models all day; there’s no charge for snowboard demos. On Saturday the Wild Mountain Park Crew will partner with The House for the Thanksjibbing Rail Jam with classes for freeskiers and snowboarders. A new set will be erected on Front Stage just for the event. Registration for the rail jam costs $15 (plus valid pass or lift ticket) and online registrations save $5. Each division will have classes for 15U, WOMENS and OPEN. Gear from sponsors including Giro and Zany Earth will be up for grabs.